Higher education can be the gateway to a better life. Yet the rising costs of a college education and poor oversight of student loans have left some graduates and former students deep in debt—especially when enrolled in for-profit colleges. The Center for Responsible Lending (CRL) found that students of color enroll more frequently in for-profit colleges than other students, graduate at lower rates, and are left with more debt. Some schools have been accused of deliberately targeting students of color for enrollment in their predatory programs. 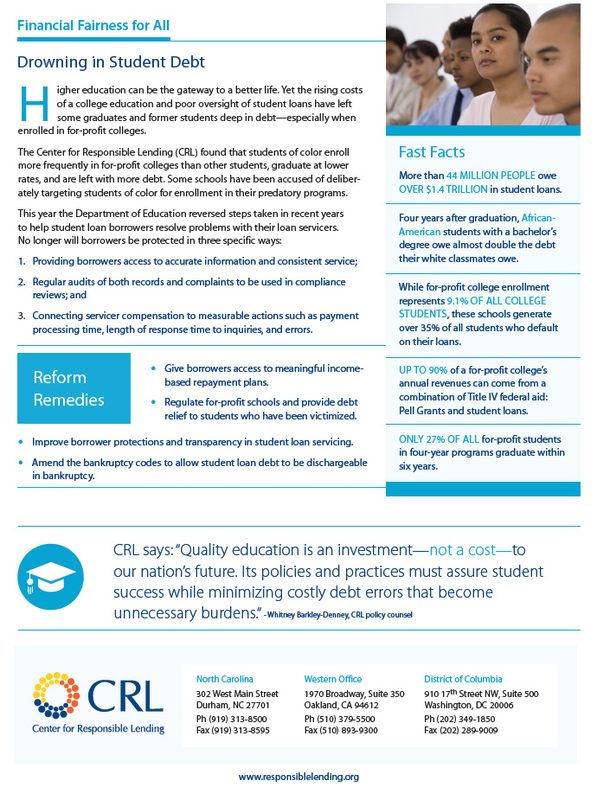 Download the student debt factsheet.